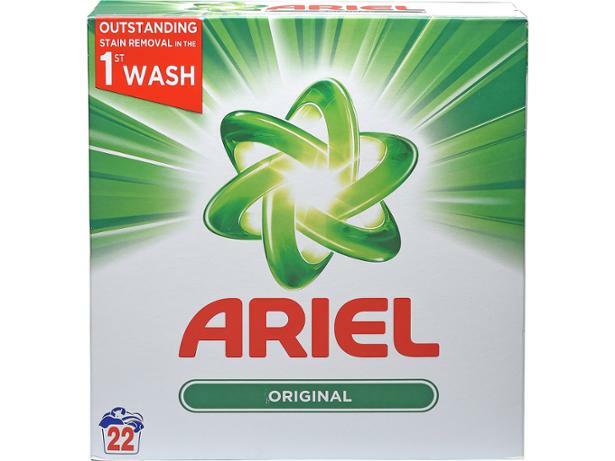 Ariel Original Bio Washing Powder washing powder and laundry detergent review - Which? Ariel claims its Original biological washing powder delivers outstanding stain removal in one wash. But does this fairly pricey branded washing powder really banish all traces of tough marks from your laundry? Read on to find out our test results. Additional informationTest scores and ratings for different types of laundry detergent tested at different times cannot be compared. We’re always looking to update our tests to bring you the best results (for example adding new stains), and we use fresh stains (made from real ingredients).